This 8 cell pack is built with our 5000mah cells. 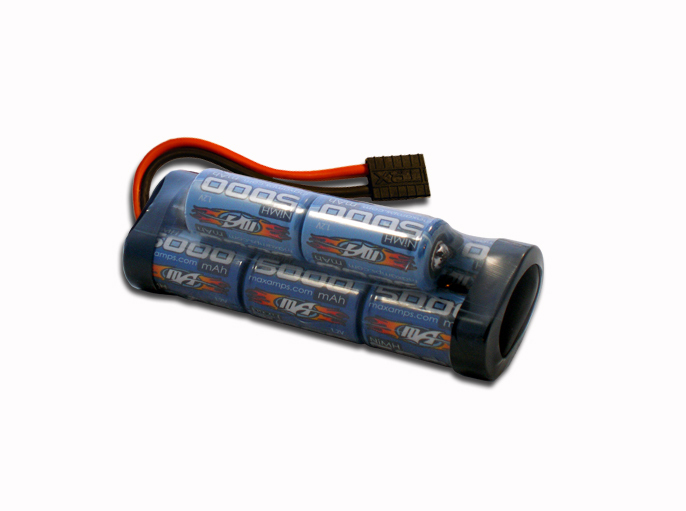 Upgrade from your stock 6-cell pack and make your brushless Slash or Slash 4x4 scream. Great for racers and backyard bashers! Ballistic Performance! Note: Not for use in original Slash with XL5 ESC. WARNING: In order to use this pack in your Slash 4x4, you must upgrade your 13/54 stock gearing to 15-17/54 gearing.